Love is not when you support the one who you care about in sadness and happiness, in sickness or in health. Of course, all those things count, but after seeing Tom Hooper’s The Danish Girl, you come to realize that the above mentioned aspects are nothing in comparison with pure love, aspiration, and dedication that Gerda Wegener (Alicia Vikander) has towards her husband, Einar Wegener (Eddie Redmayne). When Einar finds himself as a woman trapped in a man’s body, he decides to undergo a dangerous surgery to change his gender, while his wife supports him throughout his transition. The film begins with Gerda and Einar enjoying their marriage. They’re both artists. However, Gerda’s paintings are not particularly popular until the time Einar starts modeling for her, dressed up like a woman. During those moments, we see how Einar becomes more sensitive when he touches any clothes meant for women. When Gerda sees her husband’s passion and his femininity whenever he’s in women’s clothes, she starts helping him find his true self. But as you watch her throughout the film, you see how much she loved him in spite seeing how her husband quickly disappears in the newly created Lili’s body. 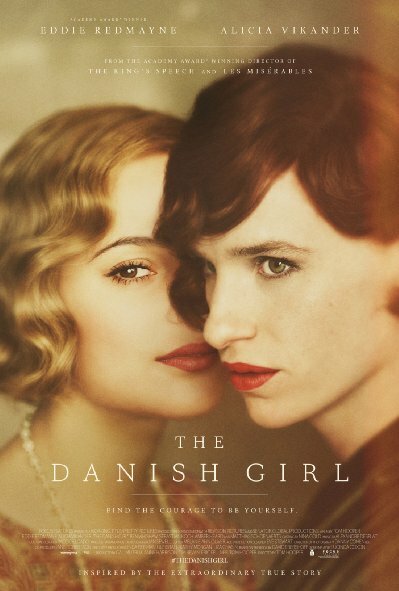 The Danish Girl is a movie I’ve been highly awaiting since the day Nicole Kidman was attached to the role. But when Tom Hooper picked the project and invited Eddie Redmayne to portray Einar Wegener, it of course raised many questions like will he get another Oscar? In The Danish Girl when you see the beautiful transformation of Einar to Lili, you will certainly say, ‘yes, of course’. But if I were you, I would not rush with a conclusion, as in these kind of films sometimes it’s not the performance, but director’s approach, feeling and dedication that counts. And this is where you may feel that something is missing in such an incredible story for it to become a timeless classic. From the performance point of view, there are no questions about Redmayne’s performance, however, the main star of this film is Alicia Vikander, who someday will become another big actress from Sweden, the same way as Ingrid Bergman. Even though we see a parade of brilliant performances from both leading actors, there is always a feeling that they can do better, but they don’t. And that is because there was no heart or soul, which should have been contributed by Tom Hooper. Even the score you hear throughout the film does not reflect the entire mood, desperation, and vulnerability of Gerda or Einar’s fear of being held hostage in someone’s body. In conclusion, The Danish Girl is a movie you will certainly enjoy watching. Seeing Alicia Vikander’s performance is a real treat. She is one of those actresses that do not need to deliver a single line, as you can read everything she wants to say through her facial expressions. And overall, Hooper’s The Danish Girl is about a great love story that should always remind us the true meaning of love; a love where you help someone find themselves, even though that person is no longer remains the one you were in love with.